As hydrangeas begin to bloom, we have some interesting facts about these pom-pom shaped blossoms. Late spring is possibly the most exciting time to watch flowers blossom and bloom as nature begins to show off its bright colors. 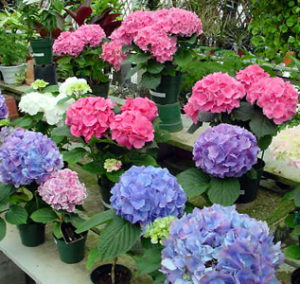 Many of us are planting and pruning bushes or seedlings and one such flower is the hydrangea. Hydrangeas are iconic, with their familiar shape and different varieties. Many will recognize the lacy bloom as a signal of summer but there are also many interesting facts about hydrangeas to learn and celebrate as we prepare for their peak season. Hydrangeas are native to Japan and Korea and many of the myths and meanings come from these origins. For example, in one story, hydrangeas became a symbol of apology when a Japanese emperor gifted the blooms to a sweetheart’s family after a transgression. This resulted in the hydrangea’s use to express a range of feelings from apologies to joy. One joyful meaning that hydrangeas have is their message of sincerity and genuine emotion. Hydrangeas are the traditional flower for a fourth wedding anniversary. Sending these billowy and frilly stems to celebrate this milestone is classic and feels lavish with the hydrangea’s abundant blooms. 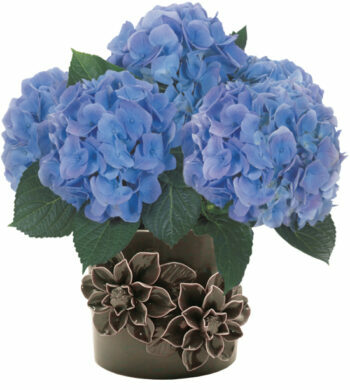 Hydrangeas arrive in a vast range of colors, often in one plant, like in our SoHo Hydrangeas. All hydrangeas have their recognizable pom-pom like shape but these round blossoms come in many different colors. Colors of hydrangeas vary due to the types of soil in which they are grown, providing us with a variety of shades to work with. Blue hydrangeas make a striking impression as flowers rarely come in the saturated blue as naturally as these blossoms do. Blue hydrangea flowers make elegant indoor plants, especially when paired with a vessel that balances the blues for something beautifully classic. 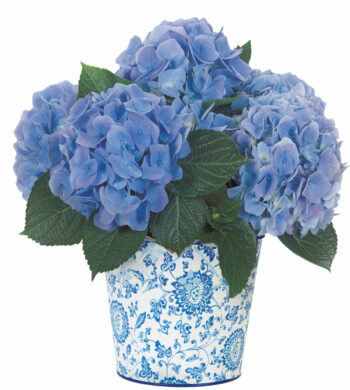 And even within the color blue, hydrangeas can often vary from bright blue to delicate blooms of white with blue tips. If you didn’t want the blues, there are other popular colors for hydrangeas. 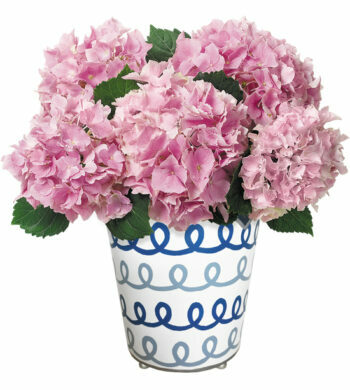 Pink hydrangeas have a particularly poignant meaning as they are associated with their resemblance to a beating heart. Pink hydrangea bouquets and plants, with their perky pastel color, are cheery while the fluffy shape evokes whimsy, making pink hydrangea flowers a wonderful sight, particularly in the warmer months. 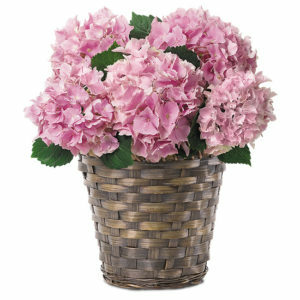 Pink hydrangea flowers are perky and pretty for a heartfelt message to friends and family. We most often see large hydrangea bushes outdoors and in front yards, welcoming us with their pretty flowers on hot, summer days. However, hydrangeas are also extremely versatile and work beautifully in wedding garlands, floral arrangements, and more. Hydrangeas of all types are great for gifting as they produce allergy-safe pollen and most hydrangea varieties are not fragrant. 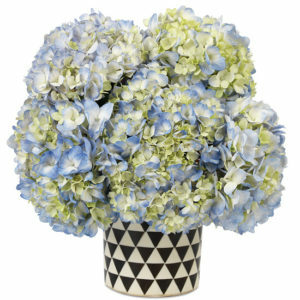 Selecting hydrangea bouquets and plants for acquaintances that may have sensitivities. Hydrangeas are deeply symbolic and meaningful while also being elegantly graceful and beautiful in a wide range of ways. So whether it’s a fourth wedding anniversary or sending luxury flowers to a dear friend, hydrangeas can’t be beat to deliver a beautiful, heartfelt message.